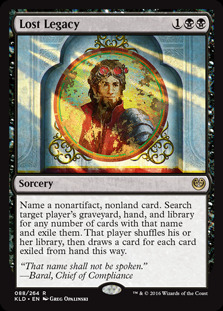 Name a nonartifact, nonland card. Search target player's graveyard, hand, and library for any number of cards with that name and exile them. That player shuffles his or her library, then draws a card for each card exiled from hand this way.